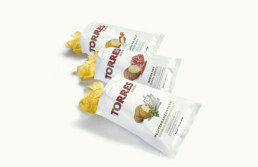 How does one take a local craft potato chips brand to the next level and expand to global markets? 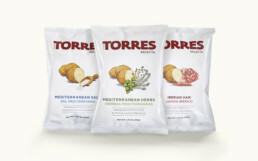 By creating a premium product range that combines the savoir-faire of artisanal potato chips and the gourmet flavors of luxury products. 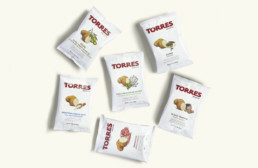 With Torres Selecta, the challenge resided in developing and designing graphic elements that conveyed both a gourmet experience and the brand’s established credibility. The slick and elegant design plays with white as the main transversal color and with a polished logo, both inspired by timeless style. 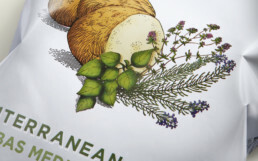 Carefully crafted still lives embody the products’ surprising flavor combinations; their sober colors engraved style highlight the brand’s premium positioning. The result is a pack that is both original and premium, with an understated elegance and an enticing allure.